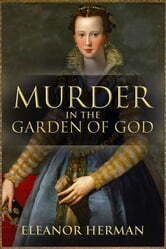 On April 17, 1581, shots ring out in a Roman garden and a young man falls dead in an ambush. Within days, a powerful baron weds the lovely widow. Everyone knows the baron ordered the hit. But how much did the victim’s wife know? Vittoria Accoramboni, the most beautiful girl in Rome, chafed under the financial limitations of her husband’s family. She waited eight years for Pope Gregory XIII to die so that her husband’s uncle, Cardinal Montalto, could become the new pope and bring the family untold power and riches. But Pope Gregory seemed like he was never going to die. Had she grown tired of waiting? When the pope finally does die in 1585, Cardinal Montalto indeed becomes the new Vicar of Christ, Sixtus V. Within minutes of his election the mild-mannered, doddering old man becomes a wrathful spirit, unleashing a torrent of revenge across Italy on all those involved in his nephew’s murder. Rich in the descriptions of contemporary sources, this riveting true story transports the readers into the beauty and brutality of a lost era and an intriguing tragedy of Shakespearean proportions.